This "Historically Speaking" column was published in the Exeter News-Letter on Friday, July 3, 2015. Many of us remember the Freedom Train that toured the nation in 1975 as part of the Nation’s bicentennial celebrations. Filled with popular culture memorabilia, it was a bit like a condensed version of the Smithsonian Institute. When we stumbled out of the final car 20 minutes after entering the train - and three hours after waiting in line - there was a sense that no matter how battered the nation was from the Vietnam War and Watergate, we were still AWESOME. What most of us didn’t know was that this was the second incarnation of the Freedom Train. 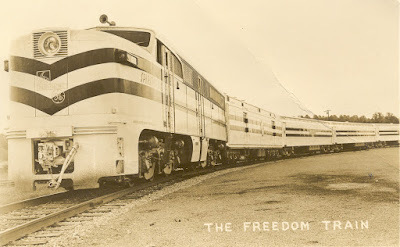 Touring the nation from 1947 – 1949, the first Freedom Train was conceived in post-World War II America as a way to encourage civic engagement. At first glance, this would seem hardly necessary, after all, we’d just pulled together to fight for freedom and democracy – and won. The post-war world in America was one of great economic growth – higher taxes – but economic growth nonetheless. The United States wasn’t just another country anymore, and most Americans weren’t quite sure what our role would be in a world now split into two Cold War camps. 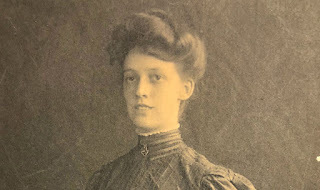 Had we lost sight of our origins during the topsy-turvy political turmoil of the Great Depression and world war? In early 1946, Justice Department employee William Coblenz visited the National Archives in Washington, D.C. during his lunch breaks. There he saw American’s founding documents alongside Nazi war propaganda in a special exhibit. He wondered whether the average American citizen realized the importance of our freedoms when compared to what he called “the fantastic splurge of lunatic fringe literature” that was currently coming out of Soviet communism. He proposed a moving exhibit of the Bill of Rights with comparisons to some of the materials that were currently slipping in to the United States from Soviet block countries. The American Heritage Foundation was created to spearhead the project, functioning as a non-partisan organization focused on civic education. Rather than comparing America’s founding documents to the propaganda and twisted ‘rights’ of fascist or communist regimes, the train would be a traveling exposition of our nation’s progress towards liberty and freedom. In a move that would horrify archivists today, the original copies of the Declaration of Independence and the Constitution – including the Bill of Rights – would travel across the country on a 413-day tour ultimately visiting 322 cities. The exhibit also included 131 other documents including the Mayflower Compact, Lincoln’s Gettysburg Address, the United Nations Charter and the Iwo Jima flag. Pulled by a powerful ALCO PA diesel engine emblazoned with “The Spirit of 1776” on its side, the train had six cars – three of which housed the collections. Like the Freedom Train of 1975, it took only a short time to view the exhibits – usually about half an hour. The Freedom Train set off from Philadelphia in September of 1947, reaching New Hampshire within a month. Having already made stops in Nashua and Manchester, the kids from Exeter visited the train when it stopped on October 23rd in Dover. 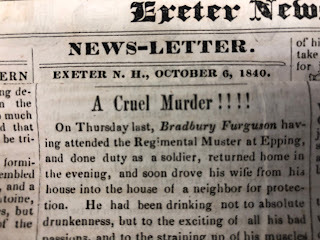 At a time when field trips out of town were uncommon, students from Exeter were bussed to make the visit. “Three hundred tickets will be sold to high school, Seminary and School Street School pupils to see the Freedom Train next Thursday afternoon in Dover. The pupils will go through the train from 2 to 2.30 and will go to Dover by bus leaving at 1.15,” the Exeter News-Letter reported. “The teachers are pleased that their pupils will be able to see the original documents and, therefore, understand these issues more readily.” Fifth and sixth grade classes from School Street School also made the pilgrimage to Dover, although they had less to say about it: “We all enjoyed our visit to the Freedom Train in Dover last Thursday very much,” noted the student reporters, Ann Sanborn, Richard Balervicz, Martha Pennell and Janet Harriman. St. Michael’s parochial school on Main Street also sent students to see the Freedom Train. Young Robert Klemarzyk, aged 10, had to write a report about the visit for his teacher. “There were thousands of children who came with there teachers and sisters. There were two bands that furnished music, the Dover School Band was dressed in green and white, and the Rochester band wore marroon and White uniforms. It was a wonderful sight and I shall always rember the Freedom Train.” He included a list of as many of the documents as he could remember, his teacher penciling in, “A letter from Columbus describing the new land discovered,” at the very end. 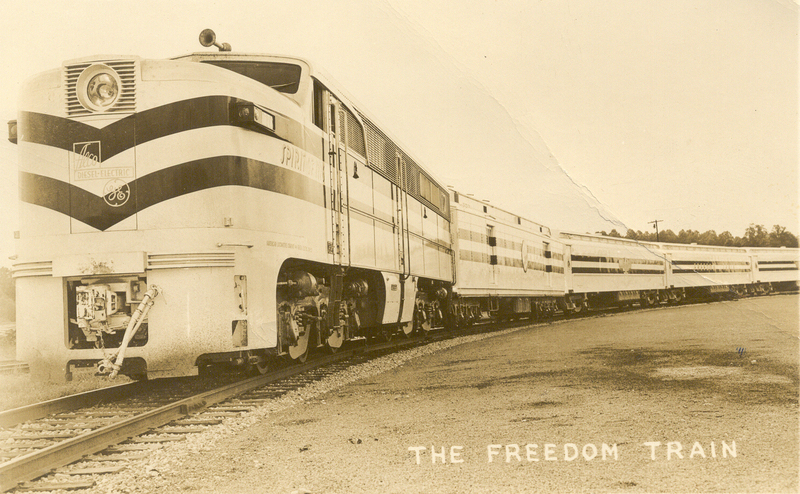 The Freedom Train left New England in November travelling to southern states for the winter. In the segregated south it encountered some difficulties. The American Heritage Foundation insisted that viewing the documents had to be an integrated event and it didn’t miss anyone’s attention that black and white Americans were not receiving the same rights so heavily touted in the founding documents. A few cities slipped through and segregated viewing times or at least the lines to enter. Birmingham, Alabama had their visit cancelled after refusing to agree to the Foundation’s terms. It was an uncertain new world we were entering in 1947. 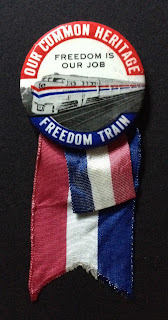 The Freedom Train was there to encourage civic involvement. “Freedom is EVERYBODY’S Job” the train intoned, “Ask yourself, ‘Am I truly a citizen – or just a fortunate tenant of this great nation?’” The final stop was in Washington, D.C. in January of 1949 – just in time for Harry Truman’s Inauguration.